I know it has been a long, long while since I last posted. I’m sorry. For me, out of sight has not been out of mind. You’ve been in my thoughts, plans and prayers. I hope all is well, and I post today to catch-up and share something new for you. The catch up is a bit lengthy written – but has been captured in a short video if you prefer to watch/listen click the image below. Two years ago today Will, the kids, and I rode down our street in a sheriff’s boat. 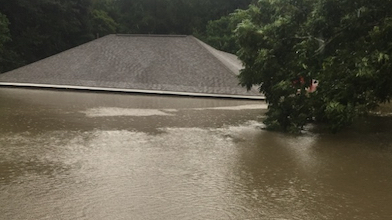 We had two suitcases, and big old wide eyes looking at water that had come up to the roof line of houses on this end of our street. The last FEMA trailer was taken down and removed about three weeks ago, and I can’t help but notice the number of for sale signs that are up. I counted eight in the one mile stretch on our street. There are some beautiful spanking new construction homes up, and they’re just as many that are gutted and empty. They look okay from the outside, but inside those houses don’t have walls because neighbors gutted them out, and haven’t yet decided what they’re gonna do or worked out whatever needs to be worked out to move forward. Two years in, and this kind of situation is not just happening for individuals – some businesses, and organizations in our area have the same situation. Our public school board finally got needed information from FEMA and other involved parties so they could determine what would happen to our son’s school that got flooded. They decided that it has to be demolished, and they’ll get a brand new campus, but it took two years of waiting to get the news that you have to start over. Real talk. Recovering from a natural disaster is hard. It’s just flat out rough – recovering from tremendous loss. And for us, for the Johnsons, the massive damage of our home, it kind of pales in comparison to what happened later. Those of you that know me know that shortly after the flood, we lost my mom and both of my sisters. Broke my heart. All this considered, looking back from August 14th, 2016 – these past two years have been two of the most trying and transformative in my life. And I can honestly say I’m not the same. He is great, and He is gracious. And because of that Will, the kids and I, we are grateful, and we’re good. So many in this area are taking an anniversary look back. There was a commemorative event in Denham Springs this past weekend. We’re seeing retrospectives in local periodicals, and status stories on local news shows. While we joined people in looking back, we also thought it was very fitting for today – this time right now, to take a step forward. So today is the launch of a new project, my new podcast Faith Applied. 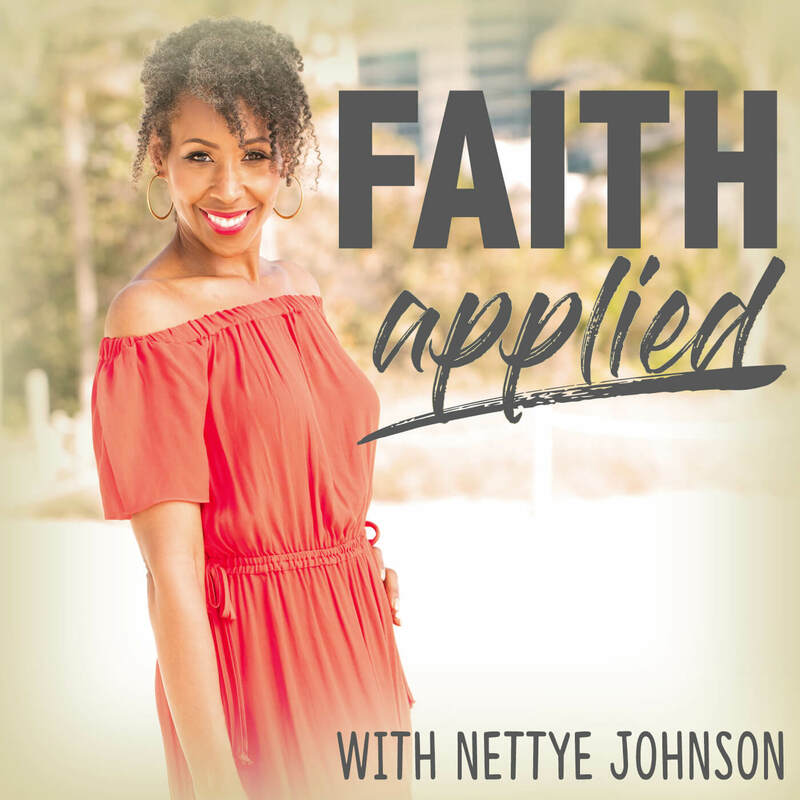 Faith Applied is a podcast for folks that are about that growth life. It is for those of us who earnestly desire to live out our God-given potential and realize that we’re not there, not close in some areas. That there are aspects of our existence where we need to grow, and to develop, and to stretch. In this podcast, we’ll have transparent conversations. We’ll talk about faith, and elements of health, and about purpose. We’re going to dig into biblical truths, and explore practical principles – steps that we can take to move from where we are now, closer to where God intends for us to be. Check out the introductory episode and see if the content resonates with you. If it does, I’d love for you to join our weekly conversations. I count it an honor to have the opportunity to share with, learn and grow together. I hope that you will come along. Take care, God bless and be well.